In 1974 Aviva entered her "second life" (post-divorce), receiving a Masters in Art Therapy and Dance from Pratt Institute, practiced art therapy in various school and hospital settings in NYC, completed Psychoanalytic Training, taught Dream Interpretation and other mental health topics in Adult Ed in NYC colleges, developed a Teenage Pregnancy Program, became a public speaker for Brooklyn Counseling Clinic, received a 3rd masters and Certification in Clinical Social Work and began her 40 year psychotherapy practice. In 1988, Aviva’s “third life “began with her move to the woods in New York’s Hudson Valley. She deepened her spiritual search, practicing Yoga, meditation, holotropic breathwork and dream work, among other modalities. At this time, Aviva developed and began facilitating “Painting From the Source” workshops in her home center and centers worldwide such as Kripalu, Omega, Esalen, Findhorn Foundation, the Greek islands, France, Italy, England, New Zealand, and the Caribbean. Study with shamans, pilgrimages to Bali, trekking and yoga in Nepal, completing a Gestalt Therapy Training, deeper studies in Jungian Analysis, mythology, astrology and Native American traditions occupied this era of her life as well. 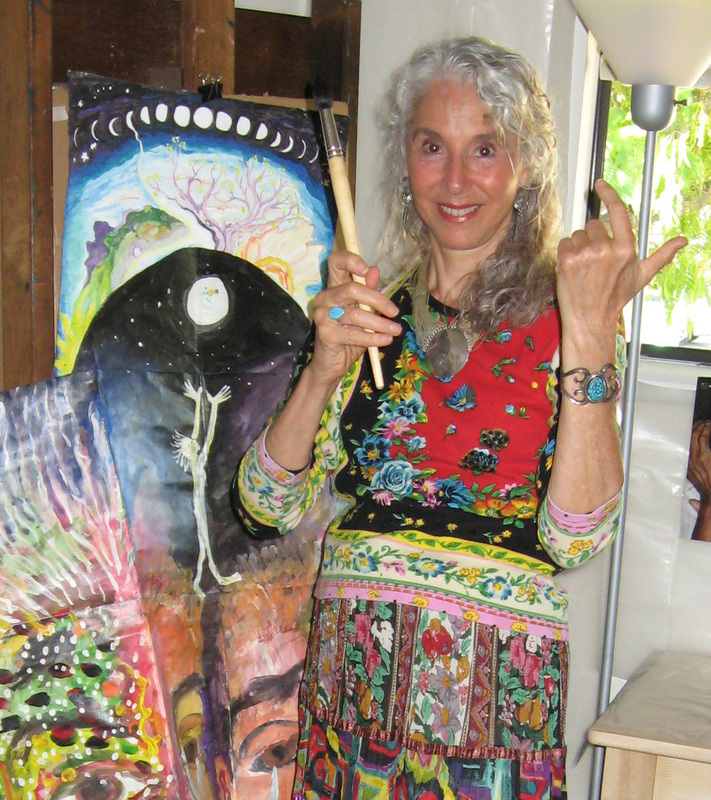 Aviva’s “fourth life” began in 1998, with The publication of her book by Harper Collins, Painting From The Source: Awakening the Artist’s Soul In Everyone, distributed in US and United Kingdom. At this time she was extensively interviewed in the media such as New Age Magazine and NBC TV, co-founded the nonprofit,Creative Passage (2000), became immersed in study of addiction and 12-step programs from a spiritual perspective, developed a teacher training manual for “Painting From the Source” and launched her first of three successful in-depth “Painting From The Source” teacher trainings. She also produced her instructional video and DVD, turned her home in the woods into a mini workshop space accommodating 13 painters for weekend workshops and led seminars for business leaders in creative problem solving and accessing intuition through art and journaling. Aviva’s “fifth” and present life begins with her move to Ojai, CA in 2005. This includes deepening her spiritual practice, study of ecology, systems theory, study with Joanna Macy, developing eco awareness art experiences, including ecstatic dance in her workshops, and planning workshops in new international locations such as Dubai. A fourth teacher training and an additional digital interactive adjunct for her 1998 book which addresses the planetary need for healing with creativity are among Aviva’s’ current activities …all culminating in the resurfacing, after a 13-year gestation, of the nonprofit Creative Passage, an art eco-retreat for individual, community and planetary re-enchantment. Establishment of Creative Passage in Ojai Valley brings full circle Aviva’s life-affirming childhood experience: providing, along with her cofounders and advisors, an opportunity for other children and adults to experience and realize the enchanted bliss and healing in nature and art for a better world. ©2014-2019 Aviva Gold | Painting From the Source® is a Registered Trademark | All rights reserved. This site was built by City Halo Media. Painting from the Source® is for men and women who have considered painting, but never thought they could. It is also for people who are trained in fine art, art therapy, life coaching, and expressive arts who would like to explore and expand the source of their creativity. The workshops are for anyone who wants to awaken their artist's soul.